However, you say it you are ‘welcome’ here. The Wakatipu Community Presbyterian Church is one Church that encompasses St Andrew’s – Queenstown, St Margaret’s – Frankton, and St John’s – Arrowtown. Occasionally we also lead services at the top of the lake at the Glenorchy Community Church. Thus we are able to offer a variety of church services in Queenstown and surrounding areas (see below for times). Wherever you are we are close by. We are congregations of the Southern Presbytery of the Presbyterian Church of Aotearoa New Zealand (PCANZ), and members of the Synod of Otago and Southland. Most Sundays worship services are held at each location, however, occasionally we will combine at one of our locations or elsewhere. At this time we typically celebrate holy communion and enjoy a shared meal together. We are a warm and diverse community, a church of the nations for the nations, with members from all parts of New Zealand and overseas. It is a delight to listen to conversations held in Portuguese, Korean, Mandarin, Indonesian, Tuvaluan, Spanish, Tongan and of course English, albeit broken English. Thankfully laughter and the Spirit of God transcend language! 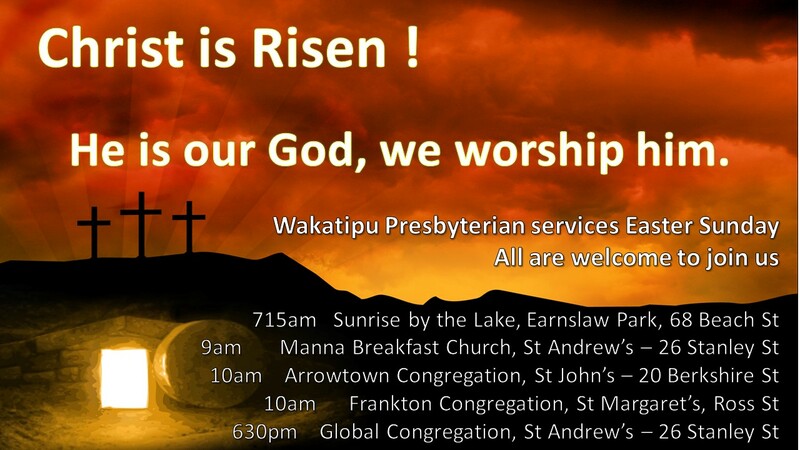 We look forward to meeting you; join us in worship at Queenstown, or Arrowtown, or in Frankton. Alternately join us at one of the many other activities that are available every week! God is doing great things through the Church in Queenstown, throughout the Wakatipu, and beyond, in particular, we thank God for rich partnerships in Vanuatu and Nepal. We are excited to be part of God’s Mission. Join us. To find out more read our ‘Mission, Vision, and Goals’. To get to know us come along to a service, contact us (see email and phone details below) OR like us on facebook. Can you give the difficult person in your life permission to exist, and to be who they are? If not, you will always resent them. Women sometimes sacrifice principle for relationships, but it often leaves them compromised. Men sometimes sacrifice relationship for principle, but it often leaves them isolated.